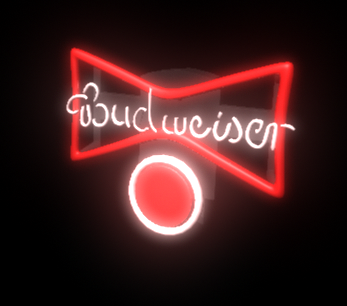 I really didn't work on this too much this weekend, but I did get a neon sign finished. 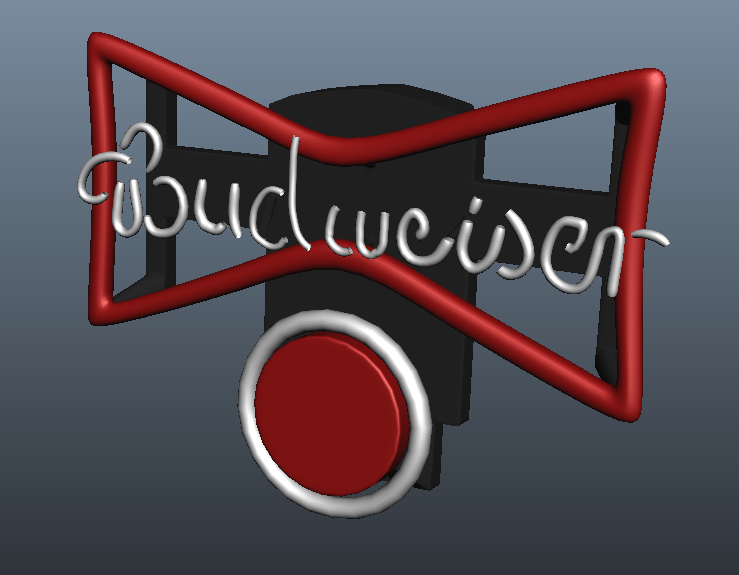 It was tough figuring out how to get the text to look like the Budweiser text. I think it looks really cool with the glow and looks like its the real neon sign. It just needs the reds logo where the red circle is. Also check out my updated Digication here!